We were working on 8,000 sf building without interior walls doing new construction windows installation. First thing you should do is to take advantage of the fact that the building has no interior walls. It is the perfect time to use a laser level and check the rough opening of all windows. This way you can set a start point and level all other windows to be installed. Is it going to take too much time? Not really and it will be worth it, believe me! After we’ve done that we found 1” difference on the rough opening. Some of the openings the framer had to fix it. You might ask: "Why? Isn’t the rough opening bigger than the window so it is going to fit anyways?" You are right. All the rough openings were bigger but not big enough. Remember when you are doing installation for new construction windows, you need some space in the R.O. (rough opening) in order to plumb the window and if you need to level the windows, moving up and down, you have the space to do so. After your have checked the windows' level with the laser, just snap a chock line and use it as your guide to finish installing the windows. Why do you need all this work? 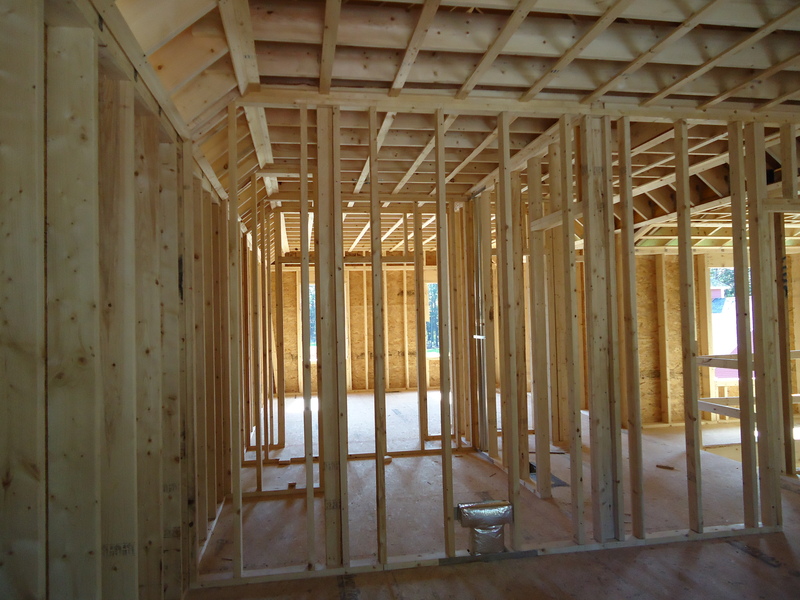 Once the interior walls are built some rooms will have two windows or more and if you don’t create a line/level as your guide, the finish carpenter will have a hard time to install the interior wood casing. If the windows are the same size the bottom and top must be lining up. The windows might be plumb but when you are looking at it, one might be higher than the other. The tricky part is this: every time you are installing windows on a brand new building you should ask yourself: how it is going to look when it’s done? How is the interior trim going to look? Don’t you think you should ask yourself (and/or your contractor) this question before the job is done? because you could see all the 128 windows’ rough openings and by looking at it you may assume that you can start the installation from anywhere because all the rough openings are the same size right? Wrong! You are right. All the rough openings were bigger but not big enough. Remember when you are doing installation for new construction windows, you need some space in the R.O. (rough opening) in order to plumb the window and if you need to level the windows, moving up and down, you have the space to do so. After check the windows level with the laser, just snap a chock line and use it as your guide to finish installing the windows.